Five civil society organisations (CSOs) pushing the governing Democratic Progressive Party (DPP) to refund money from some State enterprises have finally filled a lawsuit against the DPP after terminating the dialogue process. CSOs, through their lawyer Wesley Mwafulirwa, lodged the court summons at High Couy=rt registry in the eastern city of Zomba in miscellaneous Case number 41 of 2017. But DPP spokesman Francis Kasaila said the party is yet to be served with the lawsuit and that it will “get the court processes” when it gets the summons. According to the lawsuit, the CSOs are demanding the governing party to pay back all the money it received during the ‘Blue Night’ and that the court should declare that the donations were in contravention to the doctrine of public trust, the Malawi Constitution as a well as Section 23 and 76 of the Public Finance Management Act and the law generally. Afune asafune ndalama zibwezedwe basi. 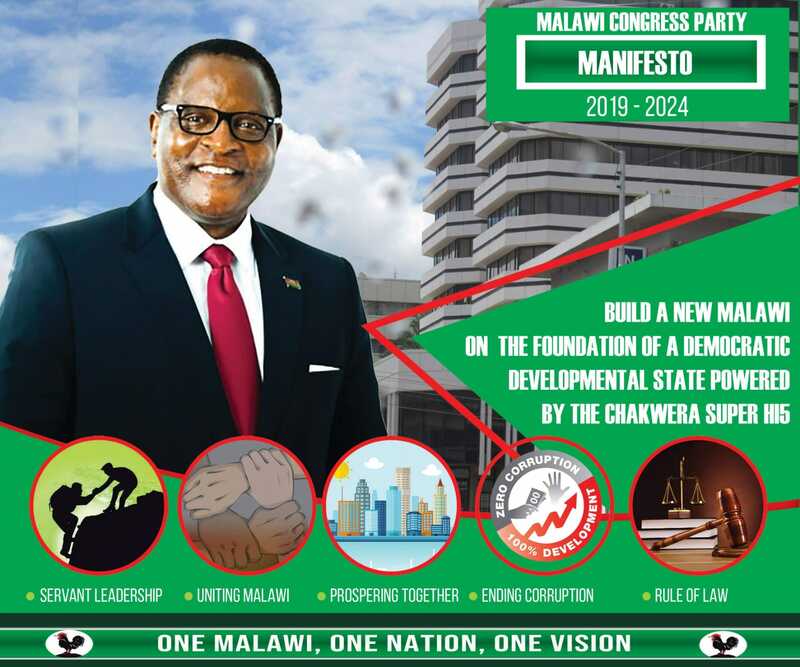 And Dr. Chakwera 2019 BooooooooooooooooooomAAAAAAAAAAAAAAAAAAAAAAAA!!!!!!!!!!!!!!!!!!!!!!!!!!! Muzilimbitsana mitima choncho pa Nyasa Times pomwe osankha boma ali m’midzi kuyembekeza 2019 kuti wawoyo adzamusankhenso. Ndi chisankho chiti chomwe simunawuze masapota anu kuti mukutenga boma? Munalephera kutenga boma kwa Joyce Banda yemwe analibe maziko a chipani lero mukunamizana kuti mutenga bomali kuchoka ku DPP. Mavoti a chilendo woti mupambane nawo 2019 achokera kuti womwe kunalibe pa zisankho zisanu zapitazi? Mvotiwo adzachokera kumwamba? Chipani chokanika ngakhale kuchithandiza on presidential race. Chihana pamodzi ndi mpoto yonse anachithandiza koma ayi ndithu. Muluzi ndi Eastern region yonse anayesa kuithandiza koma zosatheka. Nanga mukufuna matsenga wotani kuti mudzapambane? Chipani chokanika ichi.